Technology and the internet have transformed the way the world communicates. Social media platforms and other web services are continuously expanding the avenues for individual expression, forcing the law of defamation to evolve. Just as print journalists were brought to court for libel in the past, so too are Twitter users now being sued for libel. This has opened a path for users to claim Constitutional protections. 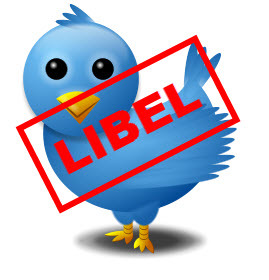 While there have been a number of Twitter-related libel cases filed over the past few years, they have all been settled out of court and so the state of the law was a little unclear. A recent lawsuit involving Courtney Love was the first Twitter-related libel case to go to trial, and it serves as a warning to anyone thinking of using Twitter as a microphone to project personal attacks. In 2008, Love hired Rhonda Holmes to pursue a fraud case against those handling the estate of Kurt Cobain, the late Nirvana lead singer and Love’s husband. The relationship between Love and Holmes deteriorated after six months, and Holmes alleged that relationship was contingent on Love refraining from substance abuse, a stipulation that eventually angered the singer. In 2010, Love posted a tweet stating that Holmes had been “bought off.” Shortly thereafter, Holmes and her law firm sued Love for libel. Under U.S. law, libel is the written form of defamation, and is knowingly false published information that harms another’s reputation. Because opinions are not verifiable statements, they are not considered defamatory. Thus, one of the threshold issues of the Love case was whether someone could be liable for posting a defamatory statement on Twitter, given the nature of the service as a soapbox for hyperbole. In a summary judgment ruling, the judge rejected Love’s argument that the hyperbolic use of Twitter necessarily indicates that personal views expressed on that platform are opinions instead of statements of fact and ruled that someone can be liable for their defamatory tweets. In the end, the jury found that Love was not liable because Holmes couldn’t prove that Love knew the “bought off” claim was untrue, or even that she acted with “reckless disregard” to its truth. While the future of tweet-speech protection is still a little unclear, this decision rewrites the rules for celebrity Twitter wars and their non-celebrity equivalents. When it comes to the court room, social media are now considered a legitimate form of publishing. A disgruntled tweeter should carefully reflect before making a potentially defamatory comment, because she may be held liable for her actions under evolving defamation jurisprudence.